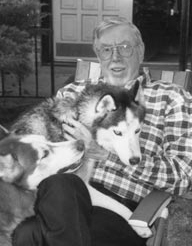 William W. Johnstone (October 28, 1938 – February 8, 2004) was an American author of over 200 novels in many genres who met with early success in horror, but went on to become a bestselling author of men’s adventure and western series fiction. His 1980 novel The Devil’s Kiss launched his career as a full time writer. He wrote more than 20 horror novels through the mid-1990s before refocusing his efforts on action/adventure series and westerns, eventually hitting the USA Today bestseller lists. It’s interesting from my perspective to see that Johnstone was raised with a strong moral background; in discussing his horror novels, I have a friend who categorizes his work as Protestant Horror, i.e. all the people who do bad stuff and mess with evil get their just desserts, and the good guys tend to come out okay in the end. In any event, these are some of my favorite 1980s Zebra horror covers. Alas, there are no artist credits given in the books.